Celebrate the one you love with our special heart-shaped cheeses, now available in store and on our web site. Pair with a bottle of LA FROMAGERIE Champagne or Domaine L. Kirkmann Cremant Rose d’Alsace, and some decadent chocolate like Valrhona Cocoa Dusted Almonds. Make a night of it by booking in for a special truffle fondue at our Highbury location, or booking for dinner at our Bloomsbury location, or join us at our Marylebone location for a special Valentine’s supper, inspired by La Dame du Palais-Royal’ Colette. For those outside of London, or unable to make it to visit us in-store, our Valentine's cheeses are also available in our online shop, paired with accompanying wines, decadent chocolates, charcuterie, truffle honey, and more. JOIN US AT LA FROMAGERIE HIGHBURY THIS VALENTINES. WE WILL BE SERVING A CLASSIC FONDUE SAVOYARDE MADE FROM BEAUFORT CHALET D'ALPAGE, COMTE D'ESTIVE & EMMENTAL FRANCAIS GRAND CRU WITH AN ADDED TWIST OF FRESH BLACK TRUFFLE FOR A TRULY DECADENT VALENTINES NIGHT. This Valentines we’ve been inspired by the tales of ‘La Dame du Palais-Royal’ Sidonie Gabrielle Colette (1873-1954), recognised as one of France’s most notable literary figures as much as she was known for her scandalous love life & music hall adventures. Whilst no angel she was daring literary talent & became one of France’s most treasured & accomplished authors. 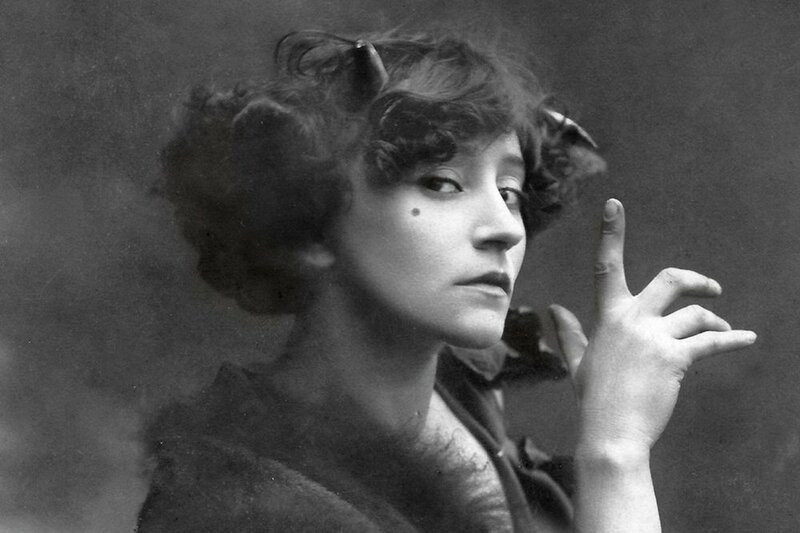 Colette was admired for her progressive ways & in her time was nothing short of radical. A bon viveur with an appetite for life & of course for good food. Les Jardins de Colette was created in 2007 in Correze; nearby Castel Novel where she once lived. Divided into six gardens, in the shape of a butterfly, each one illustrating a French region where she once lived & loved. The gardens represent an important period in Colette’s fascinating life & offering a glimpse into different regions of France. Wine Pairings included in ticket price. Places to this event are limited. Please note that we cannot process refunds after the purchase of a ticket, although you may transfer your ticket to another person if you are unable to attend after purchasing a ticket.